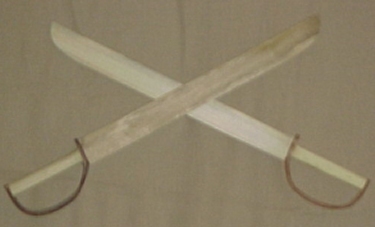 Pirates from the Carribean all had Pirate Swords because they were light weight and easy to carry. Ours has all wood construction with a cow hide hand guard to make it safe to carry. Your little pirate will really like his sword. We will woodburn up to 3 initials on the sword for no additional charge.